Does this mean that our joy in the Lord is on shaky ground? Do we have reason to be afraid? This is not the only place in the Bible where we will see seemingly contrary commands. The Bible describes Christ’s servants like this: “[We are] sorrowful, yet always rejoicing.” (2 Corinthians 6:10). Our joy, here and now in this world, is always going to mixed with some degree of sorrow if we truly care about other people and their suffering. But how can we understand joy mixed with “fear” and “trembling”? let reverence and humility be mingled with your service. He is a great God, and ye are but puny creatures; bend ye, therefore, in lowly worship, and let a filial fear mingle with all your obedience to the great Father of the Ages. 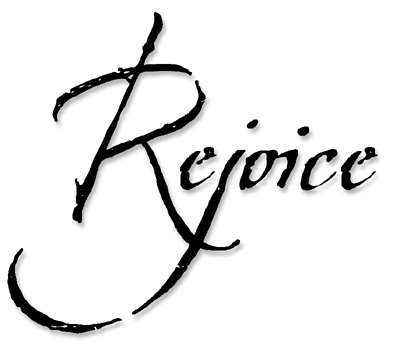 “Rejoice with trembling,”—There must ever be a holy fear mixed with the Christian’s joy. This is a sacred compound, yielding a sweet smell, and we must see to it that we burn no other upon the altar. Fear, without joy, is torment; and joy, without holy fear, would be presumption.